One of my neighbour’s guests (British) asked me yesterday ‘Where can we see the lavender fields?’ so I thought it was high time I wrote a blog post about one of the most photographed regions in France – the Lavender Route or Routes de la Lavande. 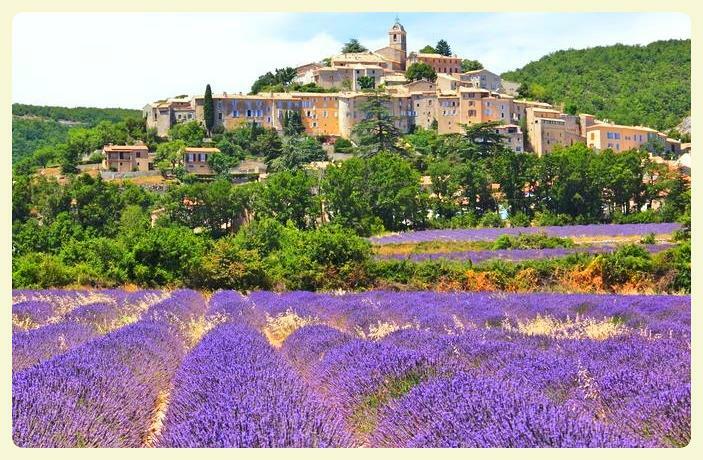 While not geographically part of the French Riviera, you can be wandering the small villages of Provence that overlook hillsides and horizon-stretching plateaus covered in flowering lavender within 1.5 – 2 hours drive so it’s easy to include in an itinerary if you visit the French Riviera. Of course, Grasse is well known for flowers and perfume but for the spectacular postcard-perfect photographs you lust after in travel magazines you really must head further to see it for yourself. The lavender starts blooming from early to mid June and is present until approximately mid-August when the lavender is harvested and many of the towns have festivals celebrating this fragrant purple flower. However, there have been years when the harvest has moved forward due to weather conditions. You’ll also likely see sunflowers, cornflowers and poppies blooming. Interestingly, lavender was still hand-cultivated by sickle right up until the first cutting machine was prototyped in the 1950’s. For 2016, full bloom is expected to be late June around Apt/Plateau d’Albion, and early July around Sault. Full bloom is optimal for photo opportunities! Note: I have written this blog post as an information source only, please do not email me directly to check whether your own individual travel plans coincide with the lavender harvest – I recommend you contact the Sault Tourist Office directly as they are very knowledgeable about current conditions each year of which fields are best to see lavender. – The Valensole plateau, particularly between Riez, Valensole and Forcalquier. At Riez, you can also see the remains of the 1st century AD Roman temple dedicated to Apollo and eat one of the best truffle dishes of the region, brouillade aux truffes, which is scrambled egg with truffle shavings. – Sault-en-Provence: Sault-en-Provence (Sault) is perched at 776 metres above sea level so you get a great panoramic view over lavender fields. Driving from Banon you’ll see many lavender fields if you the take D950 road to Sault. You can also drive from Sault along the D943 road and then D230 past Saint-Saturnin-les-Apt before going to Gordes or Roussillon and you will see many lavender fields along this route. – Simiane-la-Rotonde: A pretty village surrounded by lavender fields and with a medieval castle to visit. There are plenty of guided tours operating in this region, but I suggest self-drive as there is so much to see! It is possible to drive and stop by the roadside for photos. 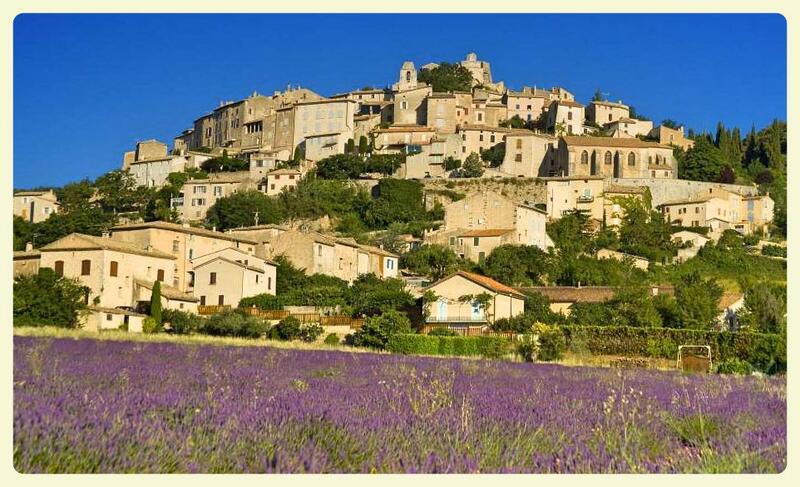 Dignes: Beginning of August, a 4-day Corso de la Lavande with all kinds of lavender produce for sale, flower floats, music, dancing and a truck that sprays the roads with lavender water! I would love your feedback on my blog post! Please share on Facebook or Twitter if you found it informative, thank you. Image credits: Coeur du Luberon, Luberon Tourism, Fondecran, Tourism Alpes Haute Provence. 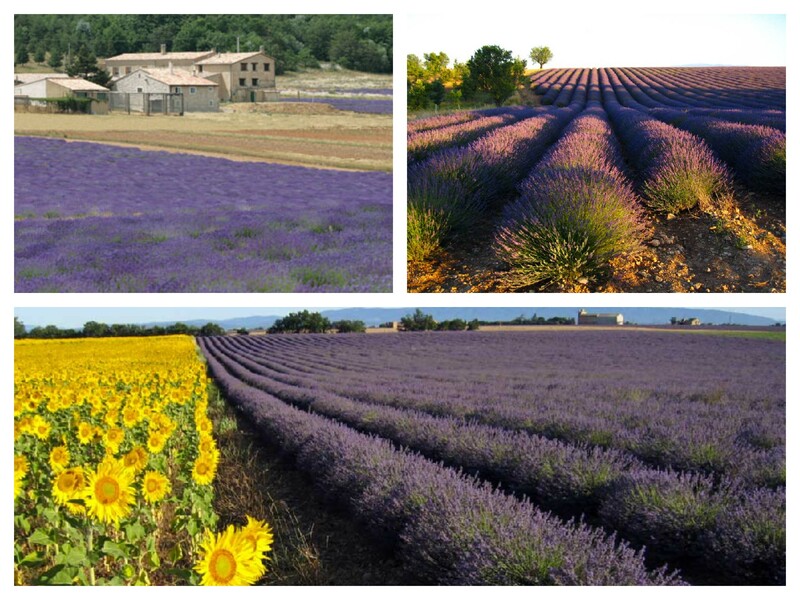 This entry was posted in Activities, Sightseeing and tagged banon provence, best time to see lavender in provence, corso de la lavande dignes, dignes lavender festival, forcalquier, hot air balloon provence, lavender festivals, lavender museum, lavender route, lavender route provence, map of lavender route, musee de la lavande, routes de la lavande, sault lavande, sault lavender festival 2016, sault provence, simiane la rotonde, valensole plateau, where to see lavender in provence france. Bookmark the permalink. Thank you kindly for this very detailed + most helpful, informative blog post about visiting the Lavender Fields in France! My husband + I are planning to celebrate nine years together by visiting this region around the 2nd week of August 2015. I’ve been on a constant search to confirm if the lavender will be in bloom and if we’ll enjoy the fields before they are harvested if we go at this time. Based on your vast knowledge + personal experience, will we be able to enjoy the lavender fields in bloom if we are in Provence, from August 13-17? If you have time to reply, that would be so very much appreciated. Bonjour! Many of the lavender harvesters have started already and because we have had an extremely hot few weeks they have bought forward cultivation in many areas including Simiane (one of the prettiest areas!). 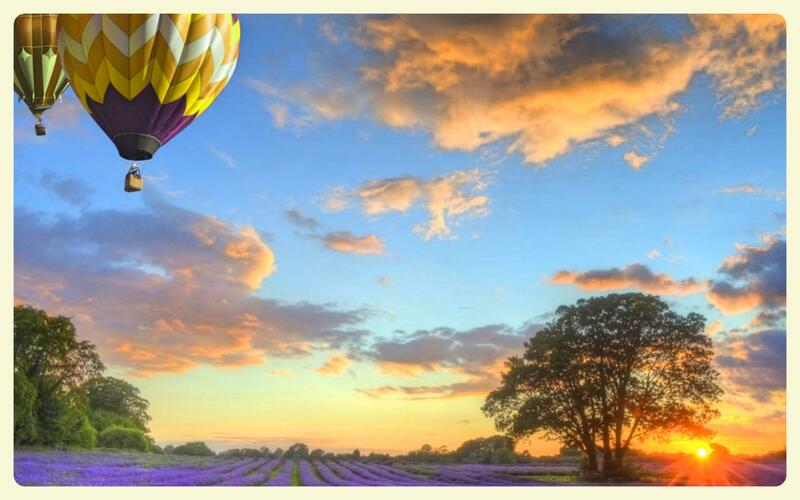 It is such a vast area though, so I hope you will be able to enjoy the lavender! You are in luck though because your dates coincide with this year’s free Lavender Festival in Sault on 15 August which I highly recommend – there is lots of music, dancing and parades! More information is found here: http://www.provenceguide.co.uk/festivals-and-events/mont-ventoux/lavender-celebration/provence-FMAPAC084CDT0000160-1.html Thank you for reading my blog post, and many happy congratulations for your anniversary. Enjoy! This was a very helpful blog post! I plan on taking the Valensole to Riez route when I visit in June but want to make sure there are areas to pull over and walk through or walk close by the Lavender fields. Are you aware of any areas specifically that I can stop at or is it easy enough to just pull over when a Lavender field comes up? Hi there, thanks for stopping by my blog and commenting! There are plenty of places to stop and pull over for photos and indeed walk through the lavender fields! From late June is better and you may also see wheat growing, poppies and sunflowers too during the lavender season. The best places to see and stop are the D6 road between Valensole and Riez, there are nice fields on the D56 east to Puimosson, and on the D8 between Valensole and the D953 junction just north of Puimosson are big lavender fields. Thank you for this helpful and interesting blog. 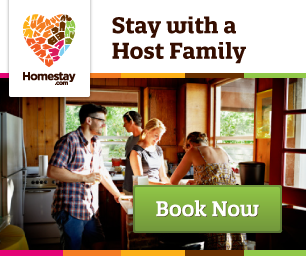 We only can go on holidays end of July this year (probably starting 26th July). We are concerned whether we should go to the Provence (we would love to see the lavender), or if the time is too late. We worry they have already harvested most of the lavender by then. How do you think about it? Is it still worth to go there end of July? Bonjour Wolfgang and thank you for your nice comment! Late July is when some of the regional lavender festivals are on (Riez and Valensole) so you should be fine. Unless it is exceptionally hot weather in June/July as it was last year in 2015, the harvest season extends to August. You could also check closer to the time regarding the weather, though of course this makes it difficult to pre-book travel. Hi! Thank you for your post. I am planning to stay at Nice for 3 nights and then stay in Cannes for 2 nights (and making a trip to Valensole). Do you think it is feasible? My sis is generally not comfortable with driving so I was wondering if there are any guided tours from Cannes/Nice. Thank you! Hello, Thank you for your wonderful site. My husband and I will be in Provence about 32 days end of June to end of July traveling from United States. We will be celebrating our 50th wedding anniversary. We found your site looking for lavender routes and I thank you for sharing all the wonderful information. We are wondering about the roads on your suggested routes. We are thinking of doing your recommended scenic route starting in Lac de Saint Croix going thorough all the villages you mentioned to Sault . We are concerned about roads that are scary with cliffs. How are the roads and are there cliffs and scary parts on the routes you suggest? We are in our early 70’s doing the trip on our own so we are not thrill seekers. Could you please give information on the danger of these mountain roads. Are there some routes worse than others that we should avoid? We were also considering going to Sault from Bedoin. We just want to avoid scary roads with cliffs. What do you suggest? We are staying in Bonnieux and L’Isle Sur la Sorgue.